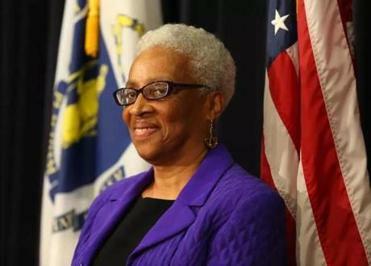 In her 46 years as a lawyer, Geraldine S. Hines worked as a defense attorney, helped establish the first law firm in New England run by women of color, and served on the Massachusetts Supreme Judicial Court. Still, one legal milestone remained elusive. Hines, 70, who retired from the bench in August, had never been chosen to serve on a jury in a criminal case. On Wednesday, she was questioned as a prospective juror in a Boston murder trial. But much to her regret, she didn’t make the cut. Hines was among dozens of prospective jurors for the murder trial of Wesson Colas, 25, and Keith Williams, 21, which is scheduled to begin Friday. Hines stepped down from the state’s highest court just a few months shy of turning 70, the mandatory retirement age for Massachusetts judges. Prosecutors say the two men are rival gang members who waged a gun battle in Dorchester that killed an innocent bystander, Dawnn Jaffier , 26, as she watched the J’ouvert procession at the annual Caribbean carnival in 2014. Colas and Williams have pleaded not guilty. Hines, who was identified in court as Juror No. 67, was interviewed by Superior Court Judge Christine Roach just before 1 p.m.
Roach asked her whether she had ever attended the festivities and whether she would be available for the entire trial, which is expected to run through December. Speaking from the witness stand, Hines said she had never attended the event and had no scheduling conflicts. Suffolk Assistant District Attorney Mark Lee then asked Hines whether she ever had a negative personal experience with a police officer. “Maybe you got a ticket from somebody that you thought you didn’t deserve,” he said. “Nope. I’ve never gotten a ticket,” she said. “You may be one of the few,” Lee said with a smile. Then Lee asked how Hines would act as a juror given her background as a lawyer and judge. Hines said she would follow the instructions that she had given to juries. Peter Marano, who is defending Colas, asked Hines whether she would hold it against him if he questioned a witness aggressively. Roach thanked Hines and told her it would be three years before she could be summoned for jury duty again. After she was excused, Hines said she had reported to the courthouse at 8 a.m. Wednesday. While she waited to be interviewed, she prepared for a class she will teach at Boston College Law School. One drawback of the experience, Hines said, was the reaction some potential jurors had when they learned they were being considered for a murder trial. Some appeared to devise plans to get excused, she said. Outside the courtroom, the trial lawyers exchanged pleasantries with Hines, and Lee said he was sorry for seeking her dismissal as a juror.